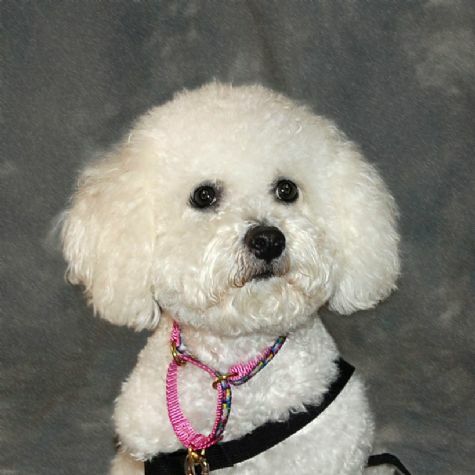 This is Lucy, the Bichon Frise. She was rescued from an animal shelter and found her true calling making people happy as a therapy dog with Love on 4 Paws. She likes going to obedience, rally and agility classes at the park, loves playing with her people and doggie friends, and insists on chasing squirrels. Her goals in life are to get lots of treats, sit on laps, sleep on beds, and warm everyone's heart because "Everyone Loves Lucy."